Ceramides restore the skin's barrier, dramatically improves dryness, and reduces signs of ageing. Doubled with a unique blend of Acai, Passion Fruit, Rice Bran Extracts, the Krono-Lip Lip Balm delivers an instant load of vitamins and fatty acids that deeply nourish the lips and provides them with a long lasting protection, thanks to its high concentration of anti oxidants. 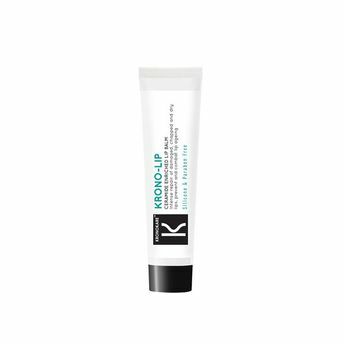 Krono-Lip Lip Balm is simply the ultimate one stop solution to keep your lips plumped and healthy!